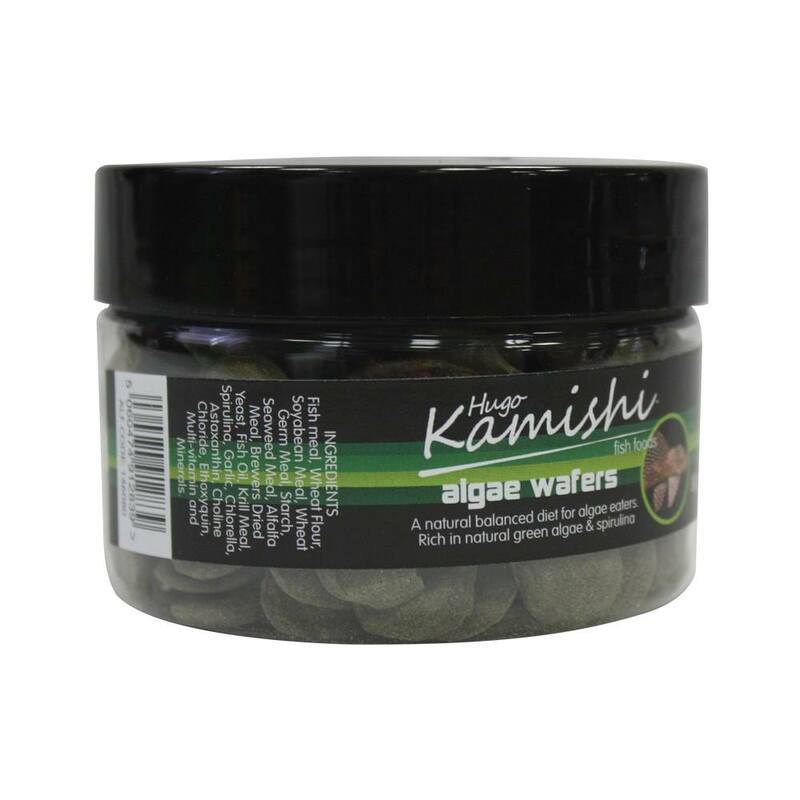 These Hugo Kamishi Algea wafers are made from the highest quality ingredients. This will ensure a proper diet for all algea eaters. If you are planning on keeping “bottom feeders” or algae eaters in your aquarium, then you may want to complement their what you feed them with algae wafers. It is common for freshwater fish keepers to add bottom feeders and algae eaters like corydoras catfish and plecostomus to their aquariums. They do this as these types of fish can assist with controlling the build up of algae. The addition of these fish will not only help to control excess algae however. They are in effect “scavengers”, so they will also help the water quality of the fish tank by eating all the amassed fish food and additional biological waste. Depending on the size of your tank and the number of fish the natural algae growth and surplus fish food may not be enough to meet all the nutritional needs of your bottom feeders. 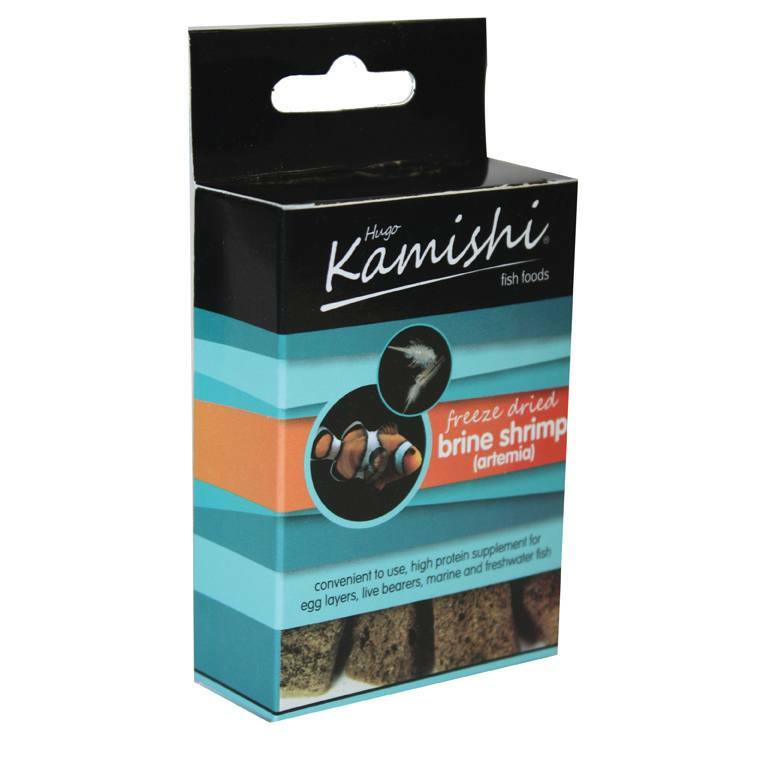 In this case, supplement the fishes diet with Hugo Kamishi algae wafers. 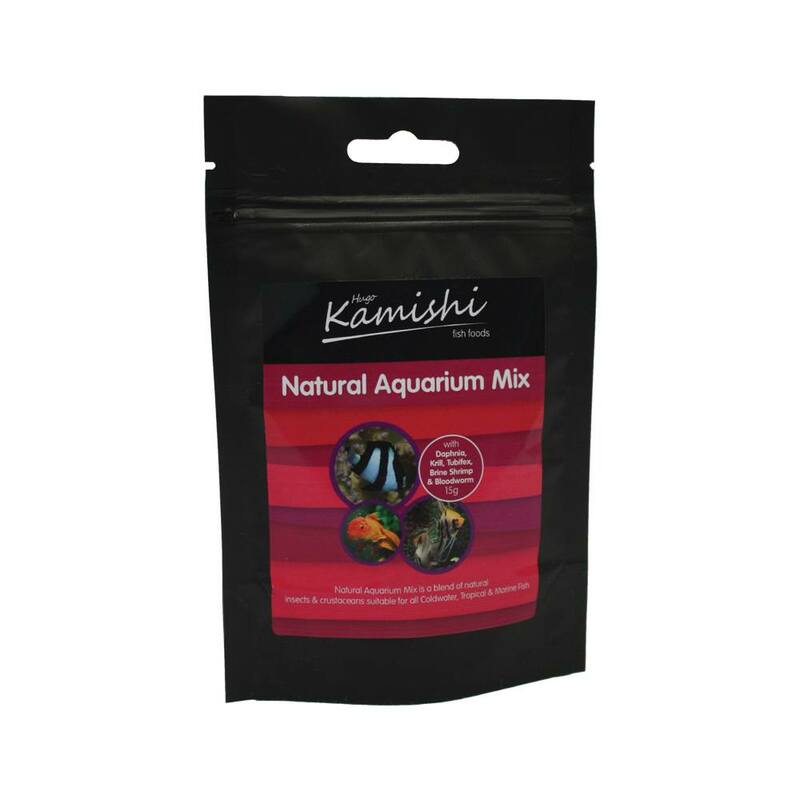 Hugo Kamishi Algae wafers are a fantastic way to deliver extra nourishment to your fish. Most algae wafers consist of vegetable matter and various vitamins that are vital in meeting the dietary needs of your bottom feeders. This will ensure they remain in good physical shape. Handily manufactured in disc-like shapes, algae wafers can be dropped directly into an aquarium. Within a matter of minutes they will sink to the bottom and begin to soften. If you only have one bottom feeder or if your tank is smaller than 100 litres, only use half an algae wafer at a time. This is so the uneaten portion of the wafer does not continue to dissolve and make the water in your tank cloudy. 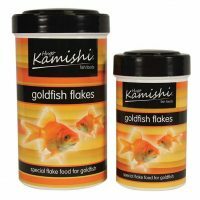 Hugo Kamishi Algae Wafers have been developed to ensure that your fish can thrive in your aquarium. 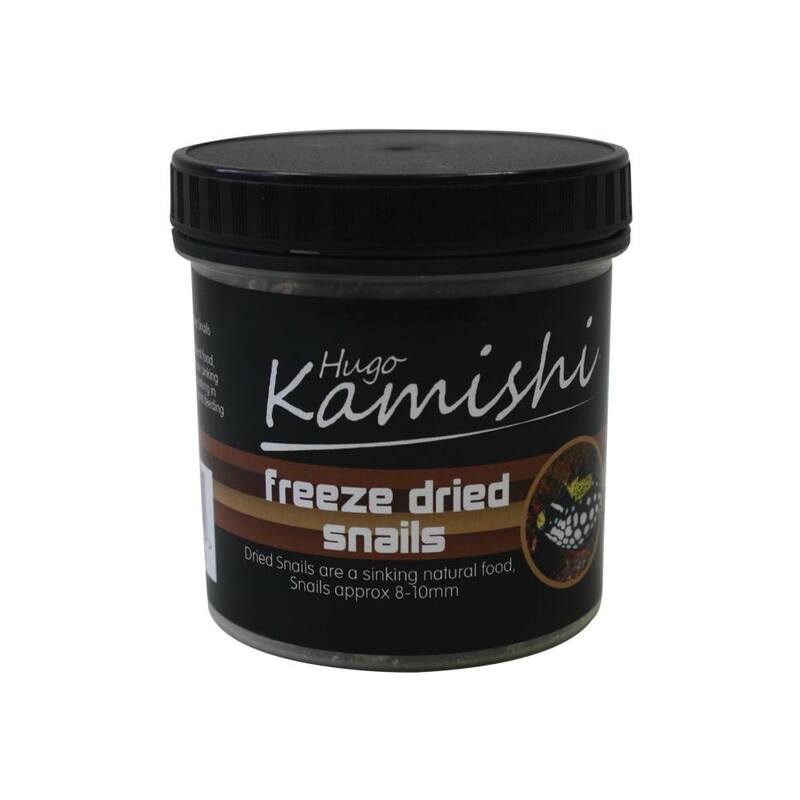 Hugo Kamishi Algae wafers contain pure cultured spirulina, a high level of vegetable matter. They also contain chlorella algae that plecostomus, catfish and other algae eaters prefer. The balance of premium ingredients promote health and growth in these herbivorous aquatics animals. Less aggressive feeders get access to food as the wafers sink rapidly to the bottom of the aquarium. To get the best results only add what your fish can consume within 2 hours. Always remove any uneaten food after this duration. Feed late in the day or in the evening as many bottom feeders are nocturnal. Fish meal, wheat flour, soyabean meal, wheat germ meal, starch, seaweed meal. Alfalfa meal, brewers dried yeast, fish oil, krill meal, spirulina, garlic, chlorella, astaxanthin, choline chloride. Ethoxyquin, multi-vitamin and minerals. Additives: Vitamin A 8800 IU/kg, Vitamin D3 1750 IU/kg, Vitamin E (Alpha-tocopherol acetate) 900mg/kg; Ferrous Sulphate Monohydrate 200 mg/kg, Zinc Sulphate Monohydrate 180 mg/kg, Manganous Sulphate Monohydrate 120 mg/kg, Cupric Sulphate Pentahydrate 60mg/kg, Calcium Iodate Anhydrous 2mg/kg, Sodium Selenite 0.5 mg/kg; Colourants.